Born in Sapporo, Taishi Kamiya currently resides in Tokyo. He seeks to explore the moments when audible sounds turn into music. Making full use of Soprano saxophone and laptop computer, he performs by processing the derived sounds in real time. 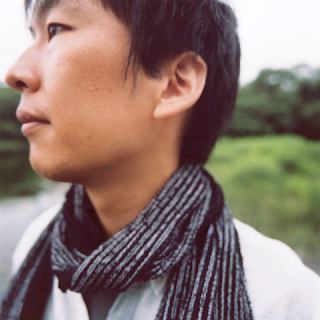 He has released a solo album from the label Home Normal (UK), and has performed live as Nömi and Asana x Kamiya, etc.. In addition to his performances, he is involved in sound installations using various atmospheres. He is interested in the way that tones change, depending on situations and circumstances, such as inside a temple, or during a snow. He also plans and organizes music events. Taishi Kamiya plays the soprano saxophone and processes the saxophone sound into various type of sounds by laptop computer in real-time to create his music. He doesn't always use prepared sound materials and specific musical structure. He seeks to explore the possibility of sound processing in real-time.